peek >> << backM Street between Half and Cushing, December 2005. 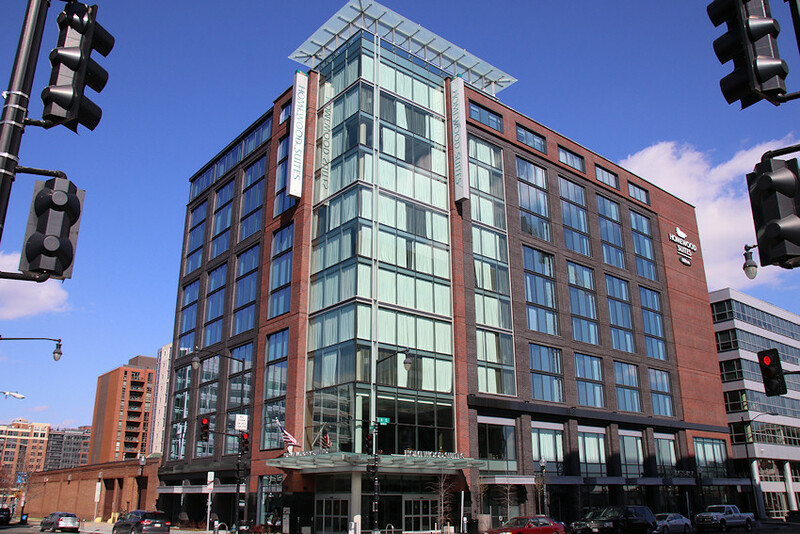 Feb. 26, 2017 - The view of the now-open Homewood Suites from M Street at Half Street. 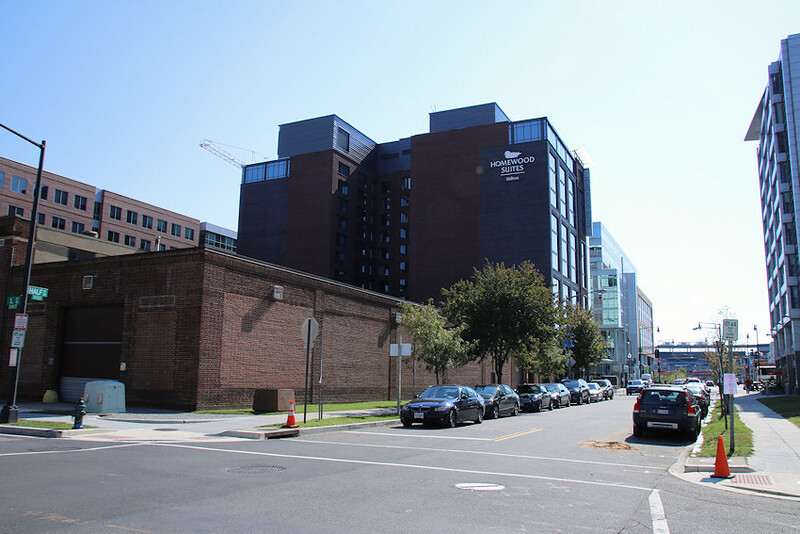 June 4, 2017 - And the reverse view, from Cushing Street. Feb. 21, 2017 - The first of 50 M's two retail offerings opened in Spring, 2017, when Shake Shack made its debut. Oct. 22, 2017 - And Cava Grill looked ready to open in late October. 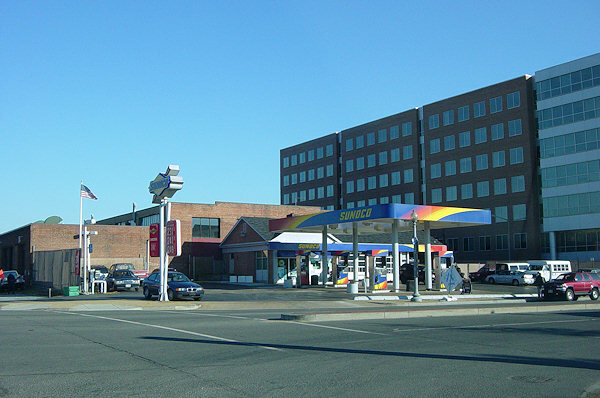 Nov. 13, 2004 - The Sunoco station that stood on the site until 2006. 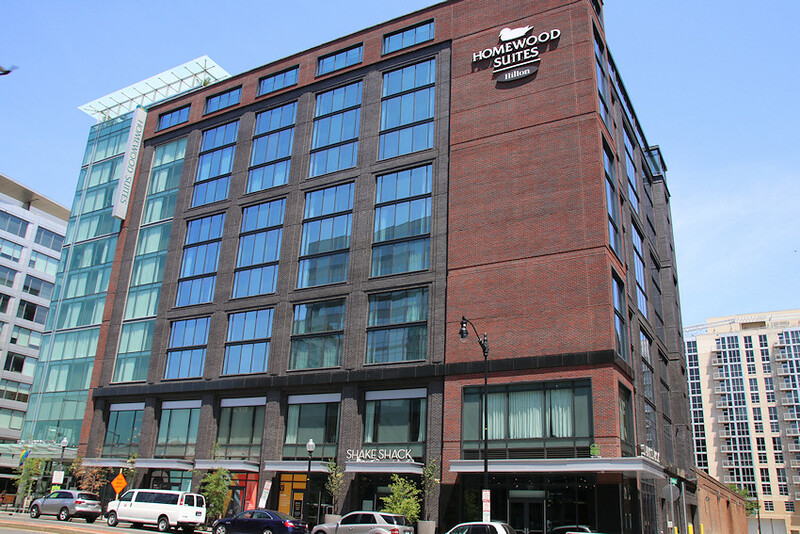 July 14, 2018 - The same spot, with the Homewood Suites completed and with Shake Shack now open. A Sunoco station occupied the northeast corner of Half and M Streets, SE until late 2006, but it wasn't until 2015 that construction began on the Homewood Suites at 50 M.
Feb. 26, 2017 - The upward view at Half and M.
Oct. 16, 2016 - This view down Half from L shows that the Homewood Suites (at left) is just a block north of Nats Park, and immediately across M from the west entrance to the Navy Yard Metro station. 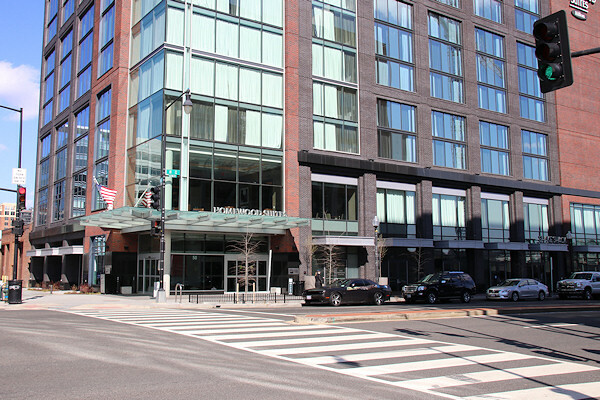 The hotel's design as seen from (left) Half Street and (right) Cushing Street. 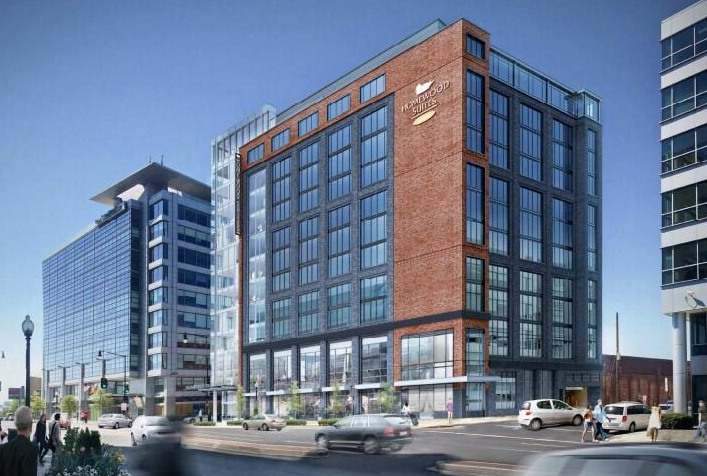 It will be an 11-story 140,000-sq-ft building, with 4,800 sq ft of ground-floor retail. 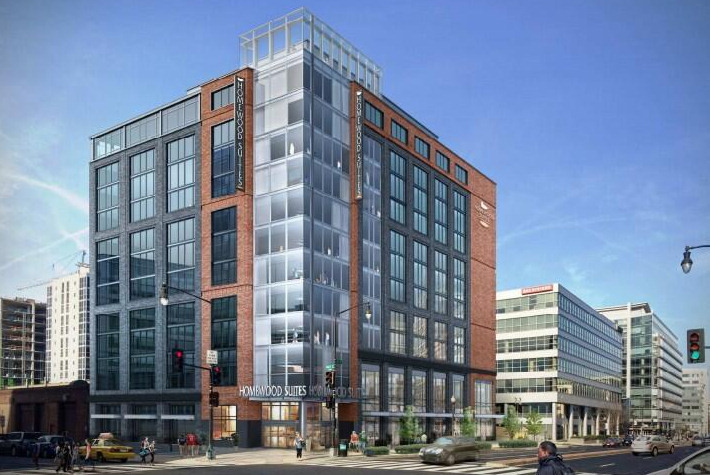 With the Navy Yard-Ballpark Metro station just across the street, the developers are hoping to only build 40 underground parking spaces. 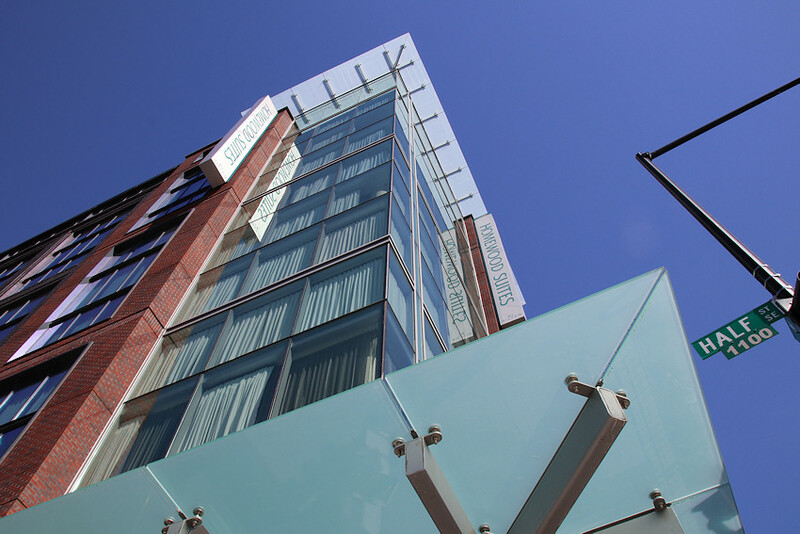 There will also be a green roof, a roof terrace, a pool and fitness center.